Tai Lopez is an investor, partner, or advisor to over 20 multi-million dollar businesses. Through his popular book club and podcasts, Tai shares advice on how to achieve health, wealth, love, and happiness with millions of people worldwide. Over the years, Tai sought out the secrets to the "Good Life" by setting up his life as a series of experiments. He began by reading thousands of books from the most impactful figures in history: Freud, Aristotle, Gandhi, Charlie Munger, Sam Walton, Darwin, Confucius, and countless others. He spent two-and-a-half years living with the Amish, worked at a leper colony in India, and helped Joel Salatin pioneer grass-fed, sustainable agriculture on Polyface Farms. He then joined the long list of entrepreneur college dropouts and ended up completely broke (sleeping on his mom's couch) until he talked to five multi-millionaire entrepreneurs into mentoring him. Tai went on to become a Certified Financial Planner and worked in the world of finance before becoming a founder, investor, advisor, or mentor to more than 20 multi-million dollar businesses while settling in the Hollywood Hills. He appeared on various TV and radio shows, spoke at top global universities like The London Business School and the University of Southern California, and created one of the top downloaded podcasts and YouTube channels, "The Grand Theory of Everything". In order to get feedback from an even larger audience, Tai started what is now one of the world's largest book clubs that reaches 1.4 million people in 40 countries with his "Book-Of-The-Day" free email newsletter. What is the 67 Steps program? Tai recently summarized all he has learned from his mentors and compiled them into a series of "mentor shortcuts" he calls, "The 67 Steps." He also created an alternative to the traditional business school. This "Business Mentorship" program combines the best of self-learning with the best of a University degree without all the downsides of burdensome costs and inefficient methods. Is the 67 Steps a book? How do I get in contact with Tai? Attending our live conferences or private seminars and dinners are great ways to get in contact with Tai. 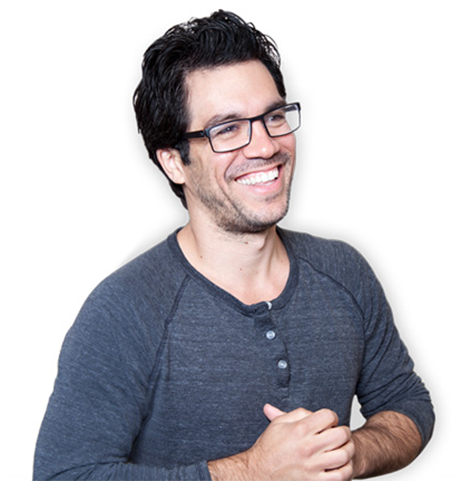 You can also reach him at tai@tailopez.com He does not always respond but he does check his emails from time to time. How do I gain access to the Facebook group? What is the VIP subscription? Tai offers members involved with his 67 Steps program the opportunity to take it a step further, by utilizing his VIP Live Calls. Calls are held every other Tuesday at 12 PM PST. Along with the VIP Calls you also receive access to Tai's Vault, which are every previously recorded talk in case you are unable to participate live. The calls usually last a few hours. Tai goes over a pre-determined book in one of the (4) life areas - Health - Wealth - Love - Happiness. Some of the past book summaries are highly coveted titles such as: Managing Oneself, The 7 Habits of Highly Effective People, and many more priceless titles. The VIP Advanced Calls are an invaluable tool to add to ones tool-belt. Aside from that, Tai takes the time to answer your questions - laying out strategies for you to improve your effectiveness in your particular life situation that you'd otherwise not get. And finally, you have access to Tai's new VIP Daily Lifestyle Training Program. The 67 Steps program is self learning whereas the VIP program is like a course class with Tai being your instructor. You are entitled a free 14-day trial after which it is a reoccurring charge of $69.99 per month. How do I update my account(billing)? By using the Help page, you will only cancel the VIP monthly subscription, NOT the 67 Steps. Please be aware that you will need to log in to your online account to put this into effect. After canceling you will still have lifetime access to the 67 Steps. You can reactivate the VIP Daily Lifestyle Training Program at any time if you wish. Our goal is to keep you learning as much as possible. If there's anything else we can do for you, please let us know. For security reasons, our company policy is to confirm your account information to process your refund. You can reach out to us via email at support@tailopez.com Refunds usually take between 2-30 days to show back into your bank account depending on your bank's policies. The lessons will register as complete after you watch a video and leave a comment at the end. Still Do Not Have Your Question Answered? Call us at 1.800.604.2587 or please enter your email and also your mobile phone to reply to you with text. Text/SMS is a lot better because it won't get caught in any email spam filters. We want to make sure you get your questions answered quickly. By checking this box you're agreeing to opt into our newsletter. Are you sure you want to cancel your 12 Foundations VIP recurring program. With this program you get two - four live calls with Tai and other experts every month. You also get access to the 12 Foundations Facebook group. As well as access to all the past live calls. I Want To Maximize My 12 Foundations Results. I don’t need this VIP program right now.